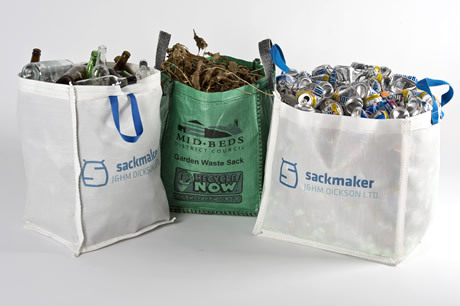 Over the past 100 years Sackmaker J&HM Dickson have produced millions of reusable & recyclable sacks made from both traditional & synthetic materials – from repurposing old materials to making durable, recyclable woven Polypropylene sacks with long lifespans – it’s in our DNA! Find out how almost all our sacks were made from second hand materials here. 40 years ago the introduction of Woven Polypropylene (WPP) sacks largely replaced much more expensive Hessian & Jute bags which used a lot of natural resources to manufacture & had a very limited lifespan. Our modern materials are made from natural polyolefin resin which has an environmental impact amongst the lowest of any synthetic or traditional material. WPP has excellent durability, wear resistance & because it’s woven has a natural rip resistance not found in the likes of plastic films. This makes it an ideal material for making into multi use sacks – as manufacturers we know it takes the same effort to make a bag no matter how good the quality of material which is why we have always made products which are designed to be re-used time & time again. Then, at the end of all that, they can still be recycled to make things like plastic buckets, garden furniture or pallets! 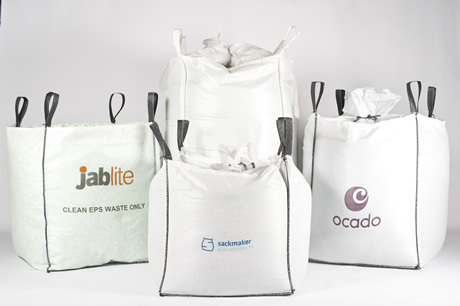 So before you consider a cheap product for a one trip application why not consider the benefits of paying a little more for bags which can be re-used & recycled – it benefits the environment & is often far more cost effective.